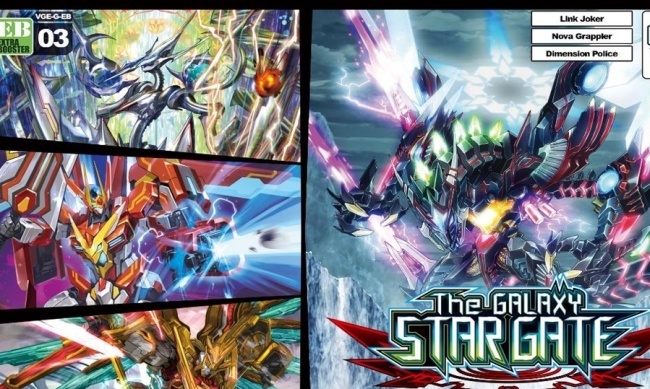 Bushiroad will release Cardfight!! 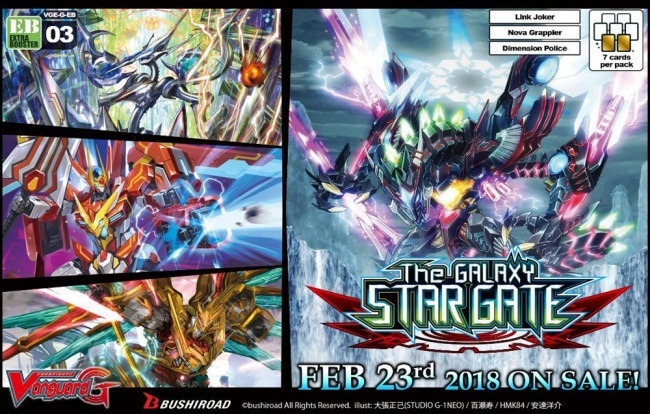 Vanguard G: Extra Booster 3 – The Galaxy Star Gate on February 23, which will offer cards for Dimension Police, Nova Grappler and Link Joker clan decks. CFVG – EB3 includes enough cards that players can construct a Dimension Police or Nova Grappler deck with just this booster. 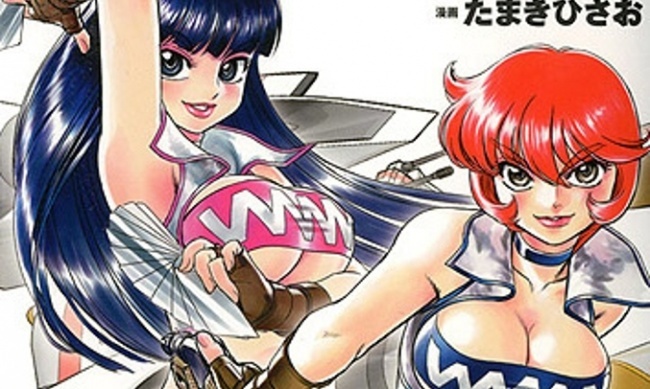 It also contains the Link Joker clan power up cards “Rondeau of Chaos and Salvation” and “Messiah Dragon of Rebirth.” It introduces the 3rd Grade 3 for “Messiah” and “Chaos Breaker.” Four types of normal reissues are included "Extreme Battler, Sever-temper," "Extreme Battler, Arashid," "Cosmic Hero, Grandrope," and "Biting Deletor, Geeva. " Three popular units are also reissued with the RRR treatment: "Extreme Battler, Break-pass," "Cosmic Hero, Grandbeat," and "Companion Star Star-vader, Photon." The set contains 76 types of cards (72 new, 4 reissue) with a rarity scheme (ZR: 1 / GR: 3 / RRR: 6 / RR: 12 / R: 21 / C: 33) + SP: 12 [12 Parallel] + Special Reissue: 3. 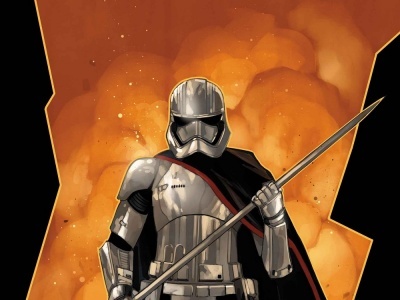 Each pack contains 7 cards, and 2 cards in every pack will definitely be R or above cards. Each display includes 12 packs, and each carton contains 24 displays. Cardfight!! 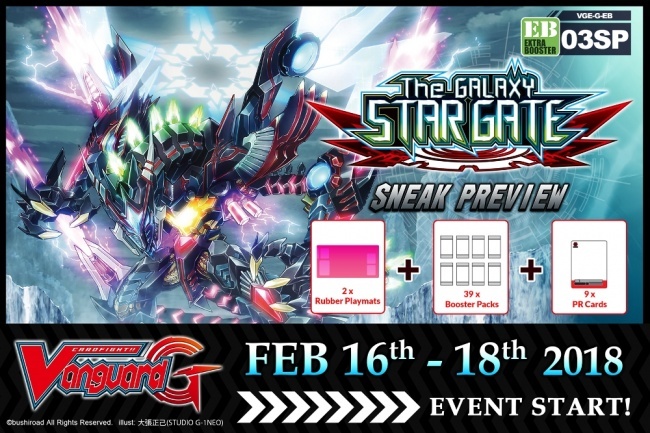 Vanguard G: Extra Booster 3 – The Galaxy Star Gate Sneak Preview Kit will be available to stores hosting sneak preview events on February 16 - 18. 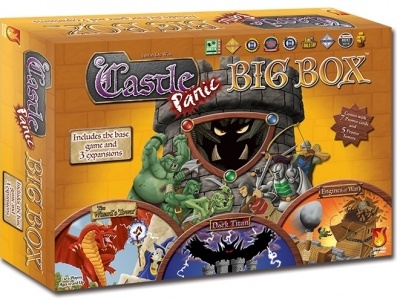 Each kit contains 39 packs, 4 for each player, and the remaining 7 for prizes. 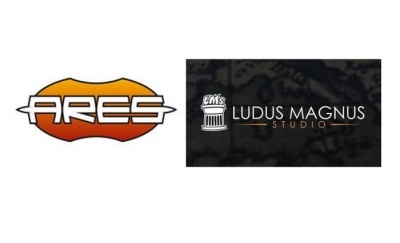 Each kit will also contain 2 premium rubber playmats and 8+1 PR cards.